Commercial and Residential, New and Existing Buildings. Let us take the stress and hassle out of alterations and additions for you. We live and work in your community and understand your needs for a flexible home to suit your changing family requirements. 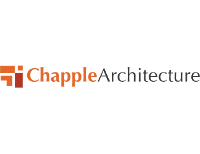 With vast experience and knowledge in the building industry, the team at Chapples are fully conversant with the current building codes, district scheme and local bylaws, and NZ Standards, and will prepare your house plans for building consent application and tender. We are past members of the NZ Green Building Council. Let us advise you on energy efficiency for your home. We are also Licensed Building Practitioners (LBP) Design 3, and are able to design all restricted building work. We can provide cost effective solutions, and design something within your budget. Out of this small practice comes a large and quality output, where each project has a tailored approach to the needs of the client, expertly merging the holistic with attention to detail. Whether its a high end home, or a cost effective commercial project, we truly believe that design does make the difference.